What is an ICS extension File and How to Open it? An ICS Extension file is a universal file format. It is used to save Calendar data. Apple Inc developed the ICALENDAR. It stores all the calendar data in plain text format. The ICS file includes calendar events details like location, start time, title, summary, end time. It supports event updates and cancellation. This format is using by Microsoft Outlook, Google calendar, Apple calendar etc. A .ics file is known as iCalender. It saves the business meeting records and holidays information. ICS extension file is used to designate a file that has the scheduling and calendaring information with the MIME type. Calendar’s use and scheduling have increased day by day. All the enterprises business has become dependent on the scheduling of events with the calendar. The format of iCALENDAR is suitable to exchange format between application and system. ICS stands for iCALENDAR, allow users to upload calendar data web and send a meeting request to others employees. RFC 2445 describes the specification of ICS file format. These files are not easy to read. A user convert it in .txt, .html, and .pdf format. 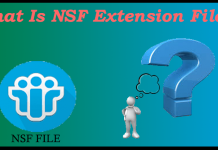 ICS extension file is more popular as compare to ICAL and ICALENDER file extension. It used for flight itineraries, meeting invites, restaurant reservation train itineraries etc. 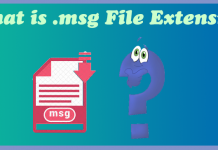 A .ics extension file is mostly used for businesses purpose to send meeting information and request. It contains the availability information of the user. 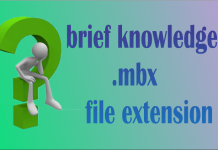 Previous articleMBX file detail-What is .mbx extension & how to use mbx folder.